A Superb Quality, Antique Victorian, Hand Chased Sterling Silver Tea & Coffee Service, Complete With The Original Tilting Pot On Stand With Burner. The Body Is Beautifully Hand Chased With Floral Decoration, And Each Piece Stands On 4 Cast And Applied Bacchus Mask Feet. 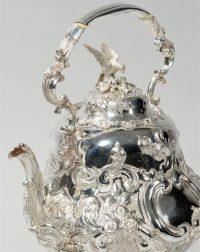 The Spouts Are Cast To Match The Chasing On The Pots. 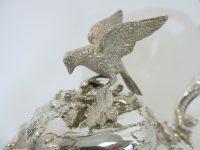 The Hinged Covers Are Each Topped With A Cast Sterling Silver Eagle Finial. 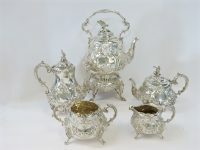 The Set Made In London By Edwin Charles Purdie, Dated 1889. 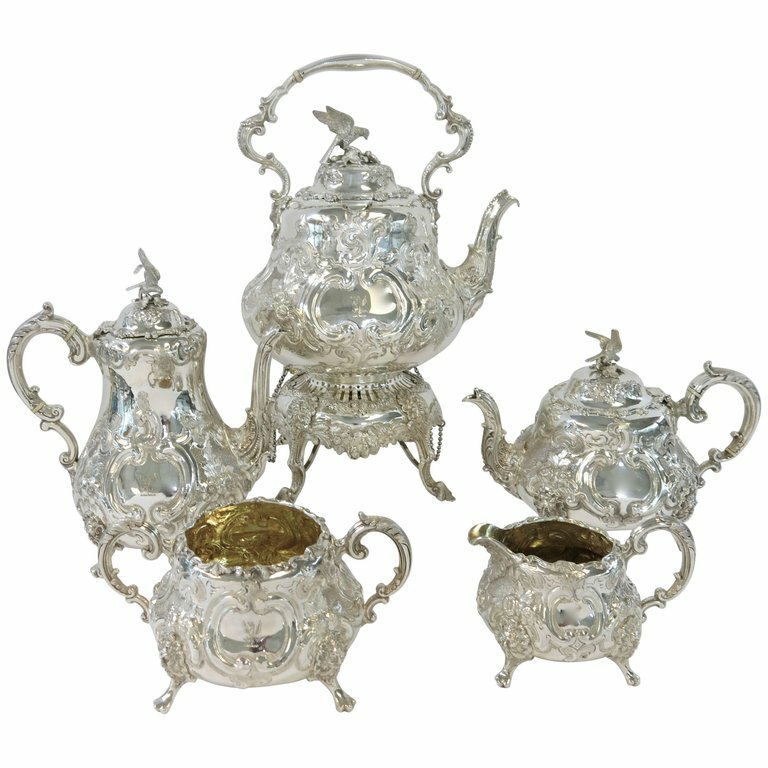 All Pieces, Including The Stand & Burner, Are Fully & Correctly Hallmarked With The Same Date & Makers Marks. Each Piece Is Hand Engraved With A Heraldic Family Crest Of A Crowned Eagle, In The One Cartouche. The Cartouche On The Reverse Side Is Blank. Quality , Style & Condition Are Excellent.